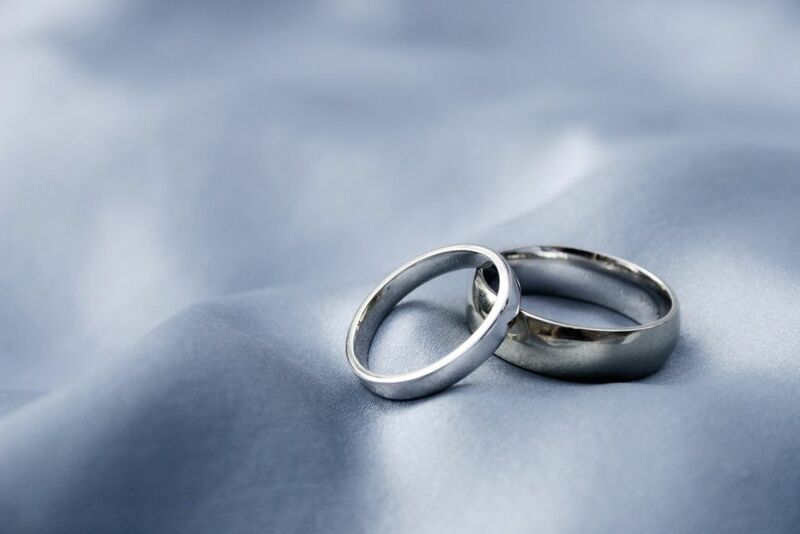 What’s so trend-worthy about platinum wedding bands for men? While the cost of platinum is higher than that of traditional gold, its durability means that this investment can last a lifetime. Unlike softer silver or gold, platinum isn’t prone to scratching, doesn’t tarnish, and it doesn’t need to be polished. It’s as low-maintenance as jewelry gets! Choose a platinum ring that reflects your ultra-modern aesthetic AND caters to your active lifestyle. 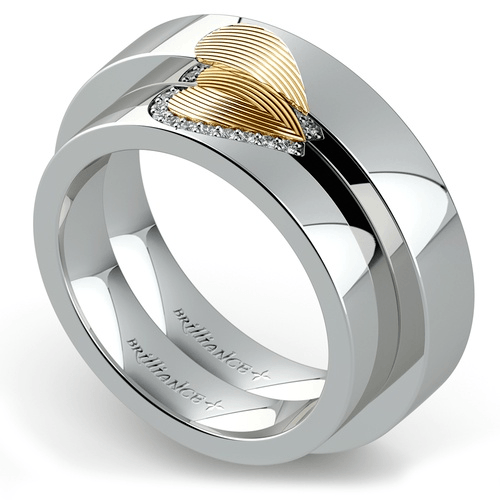 Texture creates a unique design on platinum wedding rings for men. A brushed texture roughs up the satiny sheen of this lustrous metal for a masculine look. And hammered effects provide an artisan edge for men who need a touch of ruggedness. He also may opt for a ring that plays with contrast, with texture on the edges and a polished center, or vice versa. Rope and milgrain detailing along the edges draws the eye and commands attention, while a stipple finish or bead blasting adds dimpling, for a rugged look. Platinum’s shiny, cool-hued surface highlights the brilliance of white diamonds and colored gemstones alike. Black diamonds or rich-hued gems like sapphires, rubies and emeralds pop against platinum’s mirror-like finish. Encrust the band with diamonds and gemstones for a regal ring or use the gems as tiny accents to add glitz without too much drama. Add inlays for a central focus: the sky’s the limit, you can mix any material that tickles your fancy with the neutral look of platinum. Dinosaur bone or meteorite inlays infuse an unconventional and rugged beauty into this elegant metal, while colorful inlays like opal or shell add visual interest. Want to create a casual style with platinum? Select a wood inlay for a touch of rustic influence. 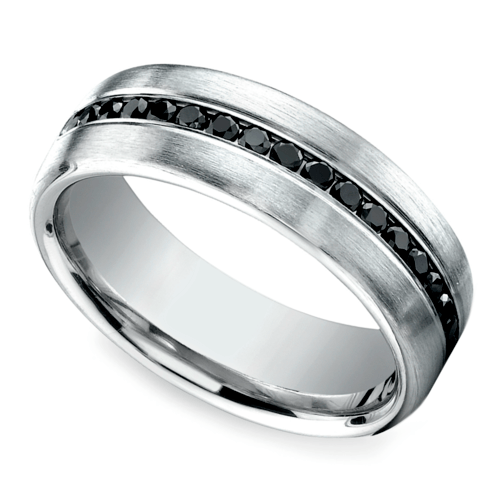 Plenty of men choose to mix platinum with inlays of other metal, such as yellow gold, for added contrast. Or maybe you want to hold onto tradition, even though you’ve chosen an alternative metal. A classically-styled men’s wedding band in a nontraditional metal is the best way to mix aesthetics and make a statement. 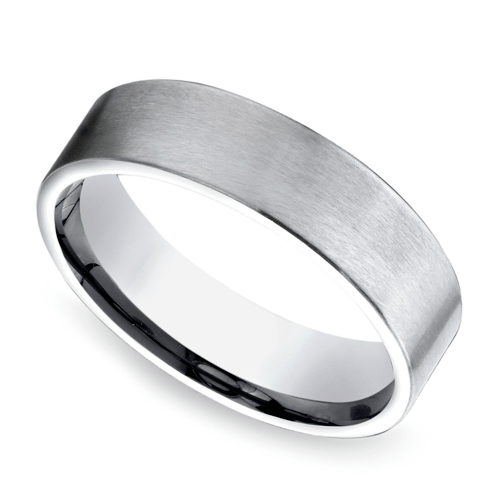 A sleek, high-polished men’s ring with no embellishments is simple and timeless, while the cool-toned platinum offers that ultra-modern aesthetic that you’re demanding. This styling is perfect for minimalists and men who find tradition romantic. 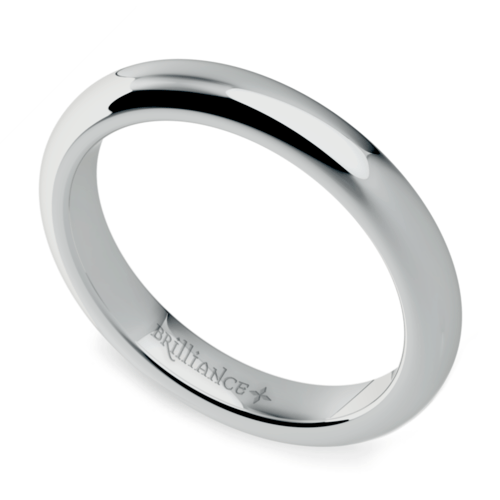 What’s your favorite way to style platinum wedding bands for men? This cool-toned metal adds instant cool modernity to any ring style, whether you’re a man who loves tradition or prefer to infuse your alternative style into your wedding band. Whether you love contrast and texture, or want a minimalist ring that expresses your love and passion, there’s an option in platinum that’s perfect for you!